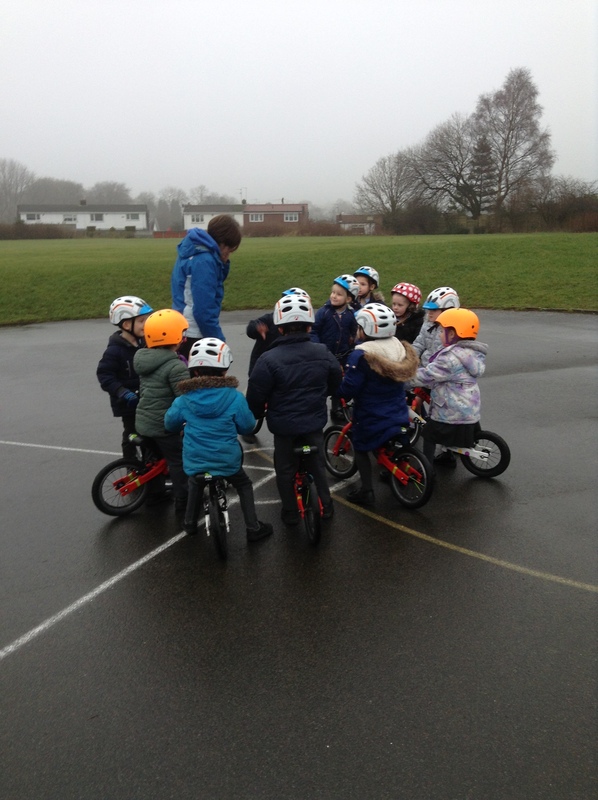 Once we had our helmets on, we pushed our bikes onto the playground. We had lots of fun riding around the playground and practising our push off. By the end of day 3, most of the children were very confident on the balance bikes. 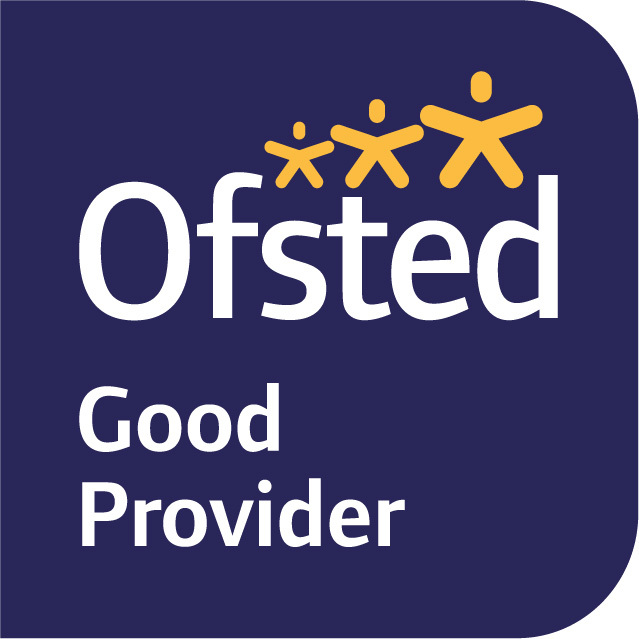 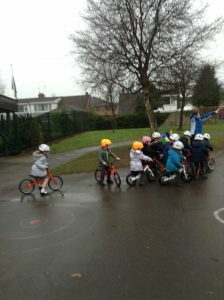 Well done Reception, you have learnt some new skills. 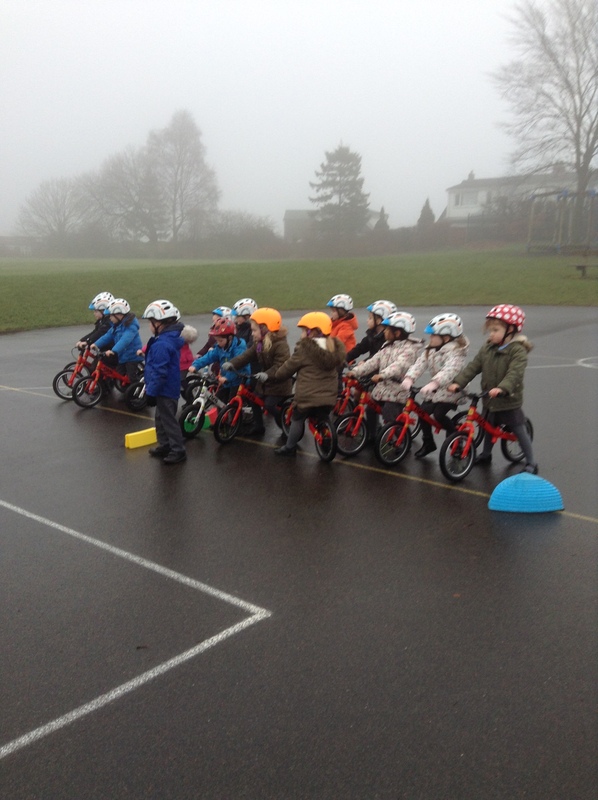 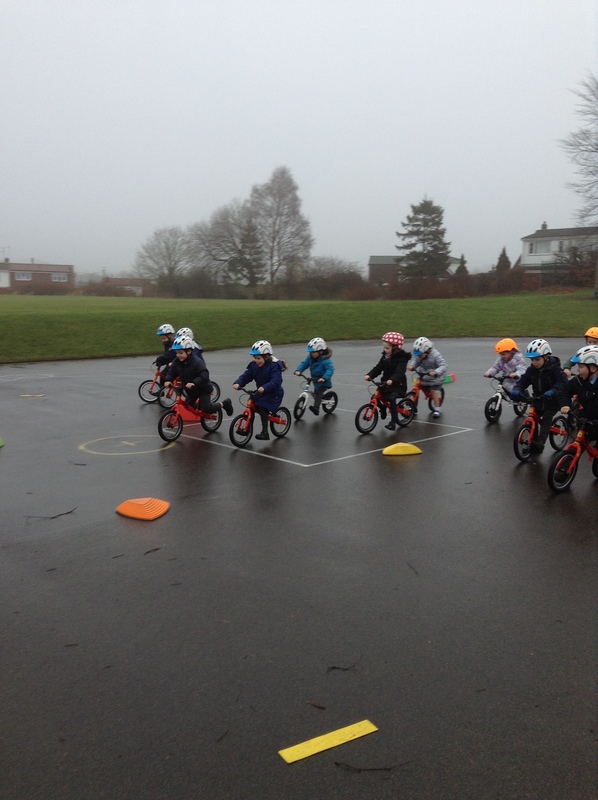 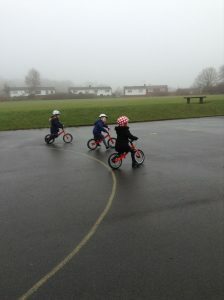 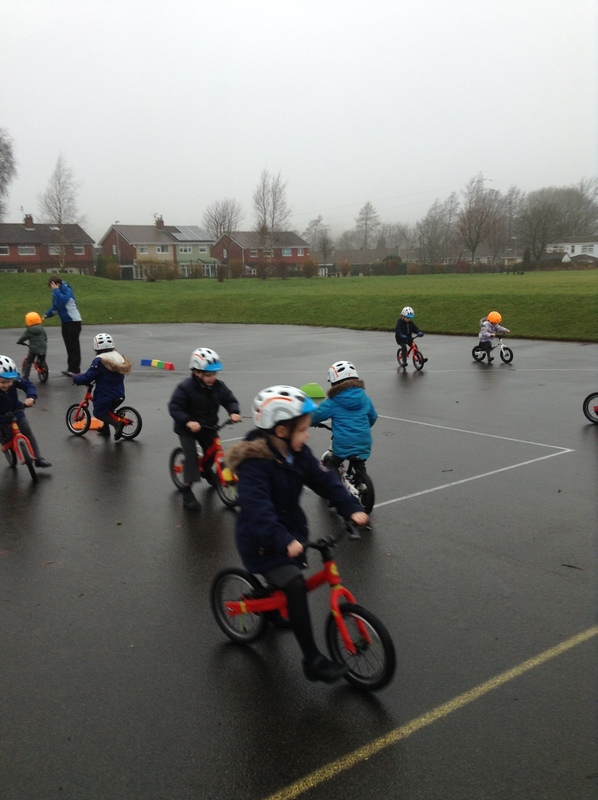 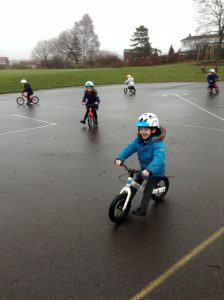 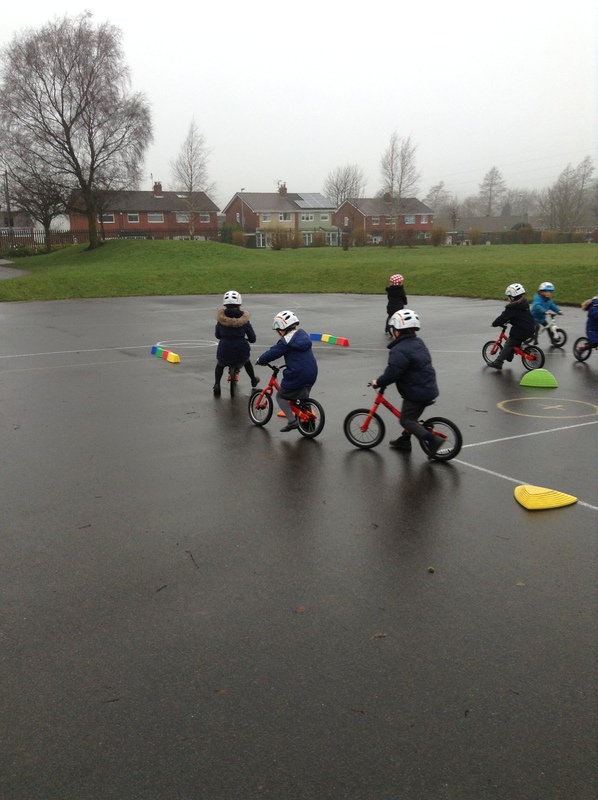 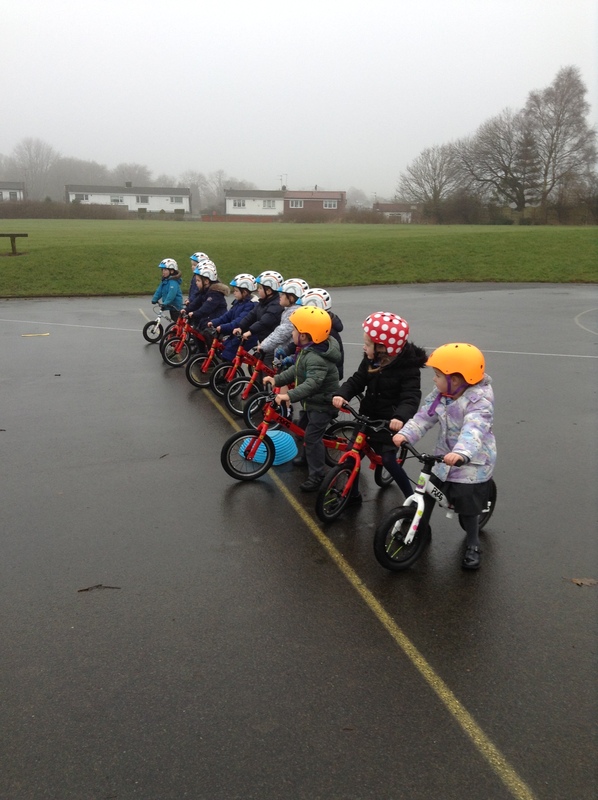 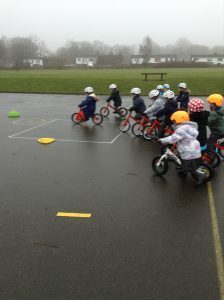 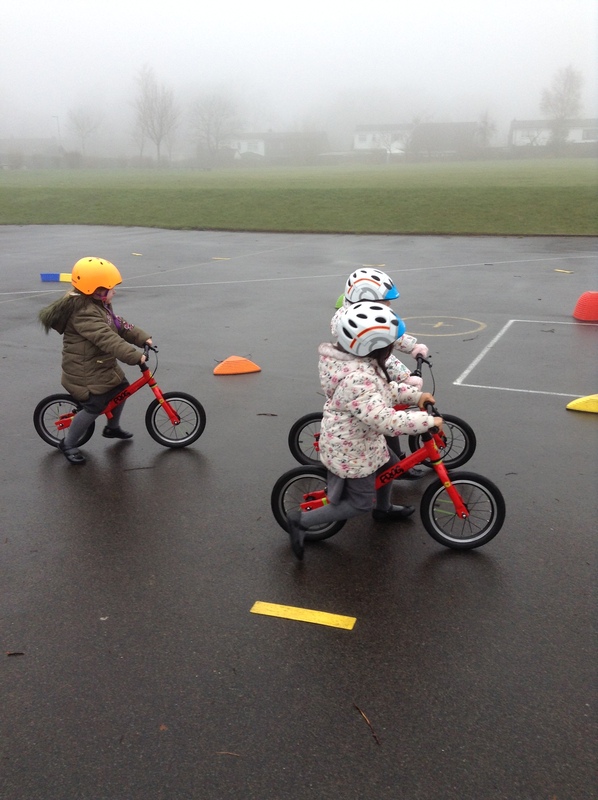 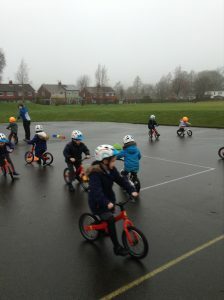 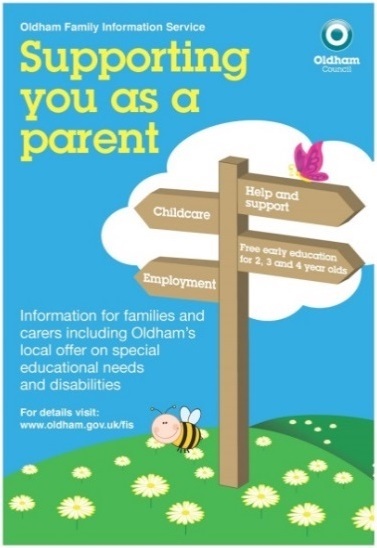 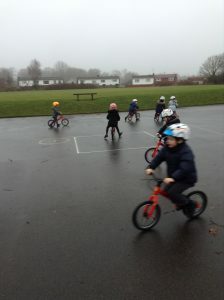 I hope you all really enjoyed the balance bike training, and the rubbish weather didn’t stop you either!